Democratic National Committee Chair Donna Brazile speaks during the second day of the Democratic National Convention in Philadelphia , Tuesday, July 26, 2016. MINNEAPOLIS — In an interview on Sunday, the interim chair of the Democratic National Committee criticized Julian Assange, the WikiLeaks founder who she called a “criminal,” and the media for what she perceived to be positive treatment of the government transparency website’s work. 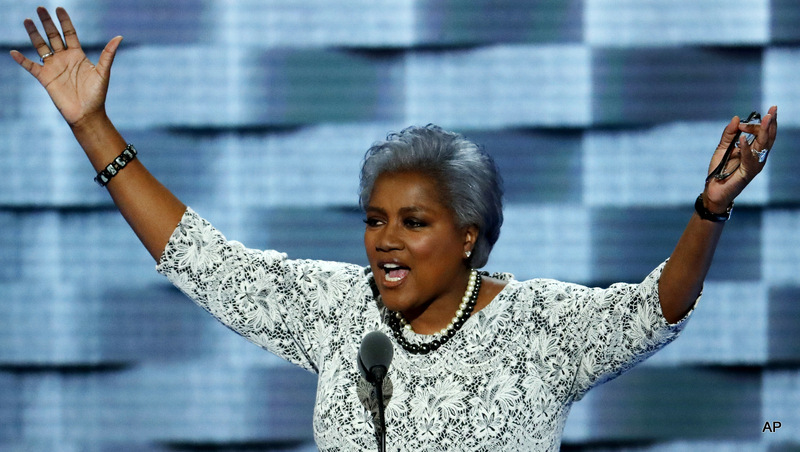 Donna Brazile took over as interim DNC chair in July after Debbie Wasserman Schultz resigned in the wake of WikiLeaks’ “DNC Leak,” an archive of almost 20,000 emails and over 8,000 files that also forced out other key party leaders. Appearing on ABC News’ “This Week”, Brazile praised Americans for supporting the victims of the Louisiana flood then criticized Republican presidential candidate Donald Trump for his failure to distance himself from the racist statements and attitudes of some of his supporters, including the so-called “alt-right” movement. But the discussion grew tense when anchor Martha Raddatz asked Brazile about an Aug. 27 ABC News investigation into emails recently released from Clinton’s private server by the conservative NGO Citizens United. The emails appear to show Huma Abedin, Clinton’s top aide, who was a Clinton Foundation official at the time, requesting special favors for donors at a State Department luncheon. But in her interview on Sunday, Brazile took a much harsher tone toward the leaks and their anonymous leaker, repeating claims that Russia released the documents in order to undermine the upcoming election. “We know from the company we hired … that there was Russian involvement in this to destabilize not just our institution, the Democratic Party, but our democracy itself,” she said. But as MintPress News’ founder Mnar Muhawesh noted in a July 25 analysis, these claims are based on circumstantial evidence provided by security experts with dubious ties to the national security state. Assange has also denied links between the leak and Russia, and NSA whistleblower Edward Snowden suggested earlier this month that the accusations may even have inspired the release of another leak containing NSA surveillance tools. Brazile told Raddatz that “the DNC and other institutions are victims of a cybercrime led by thugs,” adding that steps had been taken internally to prevent future leaks. But Brazile herself, and her neutrality, have been called into question by emails contained in leaked DNC emails which reveal her harsh criticism of the Bernie Sanders campaign, as WikiLeaks itself pointed out via Twitter on July 24. In one email, which WikiLeaks links to in its tweet, Brazile forwarded a press request from Washington Post reporter Abby Phillip for a comment about a conflict between the Sanders campaign and the DNC.